Welcome to the DOUXO®.com/us website. This website is owned and operated by CEVA ANIMAL HEALTH LLC, 8735 Rosehill Road, Lenexa, Kansas 66215 ("CEVA"). Visitors to this website are bound by the following terms and conditions. Please read these terms and conditions carefully before proceeding. For the purposes of these terms and conditions, "this website" means the DOUXO®.com/us website, which may link to other CEVA websites. Other CEVA websites may contain terms and conditions which are different from these terms and conditions. On your journey around the website, please check the terms and conditions of each website which you visit and do not assume that these terms and conditions apply to all CEVA websites.  CEVA means CEVA ANIMAL HEALTH, LLC or its parent company CEVA SANTE ANIMALE S.A. or any other CEVA affiliates or subsidiaries. In this website, we may sometimes use "CEVA", "we" or "us" when we refer to CEVA companies in general or where no useful purpose is served by identifying any particular CEVA company. This website may include links to external websites. When you follow such links, the external website may appear as a full screen (in which case you will need to use the back button on your browser to return to this website) or in some cases it may appear within the frame of this website (in which case you will be able to return to this website by using the navigation buttons within the frame). Where an external website appears within the frame of this website, this is purely for ease of navigation back to this website and does not indicate any responsibility on our part for the external website concerned, even if it is a website owned and operated by another CEVA company. These links are provided in order to help you find relevant websites, services and/or products which may be of interest to you quickly and easily. It is your responsibility to decide whether any services and/or products available through any of these websites are suitable for your purposes. CEVA is not responsible for the owners or operators of these websites or for any goods or services they supply or for the content of their websites and does not give or enter into any conditions, warranties or other terms or representations in relation to any of these or accept any liability in relation to any of these (including any liability arising out of any claim that the content of any external website to which this website includes a link infringes the intellectual property rights of any third party). This website also contains trademarks, including the trademark "DOUXO". All trademarks included on this website belong to CEVA or have been licensed to it by the owner(s) of those trademarks for use on this website. CEVA may change the terms and conditions and disclaimer set out above from time to time. By browsing this website you are accepting that you are bound by the current terms and conditions and disclaimer and you should check these each time you visit the website. If you have a question or complaint about this website, please contact the DOUXO®.com/us website editor at customerservice-us-group@ceva.com. These terms and conditions are governed by and to be interpreted in accordance with the laws of Kansas. In the event of any dispute arising in relation to these terms and conditions or any dispute arising in relation to the website whether in contract or tort or otherwise the Kansas courts will have non-exclusive jurisdiction over such dispute. If you are under 13 years old, please do not send us your personal information (for example, your name, address and email address). If you are under 13 years old and you wish to ask a question or use this site in any way which requires you to submit your personal information, please get your parent or guardian to do so on your behalf. From time to time we would like to use your personal information for purposes other than as set out in the above section. We believe that these additional uses will be of benefit to you. However, we understand that you may not wish us to use your information in this way. We will not use your information for the purposes set out below unless you have positively consented to us using your information in this way when submitting the information or later and have not subsequently opted out. Additionally, if at any time you wish us to stop using your information for any or all of the below purposes, please let us know. We will stop the use of your information for such purposes as soon as it is reasonably possible to do so. In such case, we will, however, continue to use your personal data for the purposes set out in the above section for as long as it is reasonable to do so. giving the information to CEVA affiliate offices and companies, which may be located outside the USA, to enable them to send you information which may be of interest to you. We may store some information (commonly known as a "cookie") on your computer when you look at our site. We are able to read these cookies for informational purposes when you visit our website. The type of information we collect as a result of a cookie being accepted by you is specific to your PC and includes the IP address, the date and time the PC visited the website, what parts of our website were looked at and whether the web pages requested were delivered successfully. This information is anonymous; it represents a computer rather than a person.